• The US continues to drive most social media innovation with most new products and social media products originating in traditional tech clusters. Silicon Valley remains home to the world’s three most popular blogging platforms; to four of the world’s five most popular social networks Facebook. It is a hotbed for microblogging and online video. • The time spread from geek to everyday people in the United States, as mentioned above, is widespread and accelerating. Social media strategists talk about marketing between the coasts.” Mainstream US enterprise shunned blogging just two years ago, they are now scurrying to embrace it. • Other gaps are shortening as well. Young people, raised on internet communications are embracing social media innovations nearly in tandem to technology insiders. Likewise, geography lags are getting shorter as well. Tech adoption between Palo Alto, California and say Dubai or the Czech Republics have shortened from years to months. • Nascent social media projects have also begun to pervade government and educational bodies. Conferences for government workers, librarians, vertical publishers are being held for the first time and are well attended. • With few exceptions, Canada emulates adoption patterns in the US. However, business blogging remains much rarer in Canada. Canadians latched on to Facebook faster than did Americans and today about one in 10 Canadians is a Facebook user. But, they use it differently than their American neighbors. Instead of finding new friends, they just talk to people they already know in the tangible world. • Brazil has Latin America's largest online population, with about 16 million monthly unique visitors or about 10% of total population. Nearly a third has broadband access. It the Western Hemisphere’s leader in e-government. Last election, about 120 million of them voted electronically. Over 90% of its taxpayers files online. The country also has an advanced e-banking system and most people can access some of their medical records online. There are a surprisingly high number of CEO bloggers and it is not uncommon for businesses to experiment in the social media. Brazil, has a disproportionately young which may explain the very high popularity of social networks and other sharing sites. Orkut is the overwhelming social network of choice. Fotolog, Flogao and Flickr ,three photo sharing sites are among the most popular, as are Google and YouTube. Facebook does not rank in the top 100 sites. perhaps because its navigation is more text-intensive than Orkut and its applications are all in English. • Chile claims to be the most technologically developed country in Latin America. According to ISI 2007, in the first quarter of 2007, Chileans spent an average of $532 USD per person in information technology. There is no doubt that young people are taking great strides in adopting social media. Internet's primary users are children and teenagers from 6 to 17, followed by young men age 18 to 29, mainly from the higher half of the country’s socioeconomic sectors. In the poorest neighborhoods, computer cafés are jammed with young men playing games online. Government has started allowing RSS subscription to websites and a couple of ministries post informational videos on YouTube. But business remains slow to adopt, and when it does, the project is often internal. • Western Europe’s culture is diverse. This is a factor in a very uneven social media development. A second contributing factor is the equally diverse fluctuations of broadband adoption and cost from one country to the next. • Some European strategists believe in playing follow-the-leader with the US, allowing America to get wet at the “bleeding edge,” adopting only after technology is refined and stabilized. This “fashion following” frustrates Europe’s most innovative social media practitioners, two of whom have moved to the US during the course of this survey. • Social media has begun to disrupt “master-servant” business models in France and Spain. Less so, in Germany and hardly at all in Italy, where broadband access lags. • Small countries see the advantage of social media. Denmark, Belgium and the Netherlands are among the most blogging countries per population in EU. Irish entrepreneurs have used blogs effectively to establish US market presence. • Many European companies value social media as the most efficient way to reach American markets. • In Italy, one of the EU’s slowest broadband adopters, there are only 7.5 million visits to social networks in a month. 80% of them are under age 30. • Germany has been the slowest advanced country to embrace blogging. But it does not lag in social networking, where, according to Comscore, 45 percent of Germans who go online use social networks. While MySpace remains the most popular site among Germans, StudiVZ, a German-language social network targeted to students received 3.1 million visitors in July 2007. Facebook, which has grown this year across Europe at a rate exceeding 400%, has not yet caught on in Germany. The reluctance of German businesses to permit blogging is often attributed to a love for privacy. A closer look would indicate it is more because German executives want to see a tangible ROI on any activity in which time is invested. In the rare occasions when German companies elect to use social media, they often outsource it to consultants, with the result being an ineffective product that is not integrated with the company culture. • Scotland is a world leader in using social media in education. Educators are using virtual reality as well as other innovations to engage students in innovative ways. A public school educator encourages students to work with teachers via social media to determine what they will be taught. Children of parents who have rarely left the UK are encouraged to interact with people all over the world. Behind it all is a strategy to help the next generation to leapfrog into the global marketplace. Facebook has gone from near zero in Ireland to over 130,000 users in six months. At its current rate it will overtake Bebo, which started in Ireland. • Countries that were under Soviet control until approximately 1990, started with fresh slates and have relatively high internet involvement. Several eastern countries are well-beyond their Western neighbors in terms of Internet and social media adoption. Citizen journalism flourishes in many of these countries. • Estonia is the most connected European country with free, virtually ubiquitous WiFi access provided by the government. It has a highly active e-government, and has a strong pan-European role in e-transactions including banking, purchasing and gambling. Over 90% of Estonian speaking people under age 25 use rate.ee, the localized social network. It’s dependence on internet-related activities for its national operations and economy made it vulnerable to cyber attacks alleged to have stemmed from Russia. • From 25-to-30% of Russia’s142 million use the Internet from home or work. About 30% of families have PCs, but not all are Internet enabled. Around 65% own cell phones, but not more than 20% of them use them to go online. There are at least one million bloggers on LiveJournal. Bloggers discuss more politics than business. There is a lot of localized information sharing. Russians watch a good deal of US-uploaded YouTube clips and there are expressions of surprise of how much in common the people of both countries share. Nearly all traditional media in Russia reflects only the government’s viewpoint. This has given birth to citizen journalism, the first of which is Realno.com, has a network of 320 journalists. Relatively new, it is receiving about1000 unique visitors daily, but appears to be growing. • The lack of business and technology legacy makes Eastern Europe a hotbed for rapid social media emergence. An example is Bulgaria, which fancies itself, “the Silicon Valley of Eastern Europe,” and boasts a low-cost, high-talent development community. One-fourth of Bulgarian households have computers. 75% have cellphones and a great many Bulgarians use them to get online. Internet penetration in Sofia, Bulgaria's capitol, is 50%, although the rest of the country is only 25%. While older generations studied Russian, the younger is required to study English. • From 2000 to 2006, Polish internet users increased by over 307%. With a population of 38 million, there are 25 million cell phones and 10-15 million PCs, with an estimated 13 million people or 34% using the internet, but adoption is growing fast and it is estimated 50% of the population will be online in three years. Broadband access, however is small--about 1.75 million. The number of home Internet users is increasing, while the number using it at work is declining. Citizen journalism, blogging and social networking are flourishing. Many young Poles see the Internet as a short route to career stardom. Bands have started there and flourished. Bloggers have risen quickly to points of significant national influence. . . Wiadomości24.pl is a citizen journalism network of 760 writers where multiple viewpoints are shared. • With the exception of Denmark, Scandinavian countries, Baltic countries and Germany have not glommed onto blogging. But they are zealous users of Wikipedia and localized social networks do well. Wikis are relatively popular inside the enterprise. • In Ukraine, a nation of46 million people, businesses universally provide internet access to employees. About 38% of it is broadband. Despite, sometimes dangerous friction with it’s Russian neighbor, Ukrainians argue that it is one of the world’s most promising markets for technology in general and social media in particular. • In the Baltic nations, about 90% of young people are using social networks. • In the Czech Republic, there are 10 million people and 12.5 millions cell phones, 25% more phones than users. Among18-40 year-old men, having the latest mobile device is a status symbol. The country is wild for SMS. During Christmas 2006, Czechs sent about 60 million text messages. However, only about 500,000 people, or 5% of the population use mobile internet connection. About 35% of Czech households have PCs, purchased mostly for children. Their parents access the Internet at work—often for personal purposes. About 2/3s of all computers are Internet connected. Older Czechs speak Russian, but their children speak English because the latter language has replaced the former in education programs. Social media has not yet really taken off because there are few Czech localized versions. As more young Czechs become English-proficient, adoption is likely to escalate and the business and cultural changes are likely to be significant. 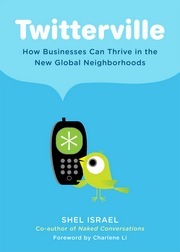 • In China, social media is used more effectively as an instrument of social change than as a business tool. Business users, mostly blog to advertise or to create direct sales catalogs. Growth in social media is enormous. In two years, the number of bloggers has risen from 1.2 million to over 20 million. Bloggers range in age from 10 to above 70. The Chinese are wild about Twitter and social networks. There are thousands of Chinese speaking English in Facebook Groups. Several prominent Chinese blog in English as well as there native language. The rapid growth has made the Chinese government demonstrably nervous. The burgeoning growth of China bloggers makes attempts to control who blogs and what they say, increasingly difficult because understanding the internet and how it works is giving social media users an increased advantage. They are adept at bypassing, what they commonly call, “the Great China Firewall.” Despite the well-document rapid rise of an enormous middle class, the cost of starting a tech-related business in China remains quite low and investment dollars are growing. The start up community, still in its formative stages, uses social media to reach foreign markets. They greatly prefer the direct conversational opportunities of social media to going through official government channels. • In Japan 13.8 % of businesses now have blogs, including the country’s largest bank. They use them to communicate with existing customers and market to new ones. In the last two years, these blogs have become more open, allowing comments where they once did not. No major Japanese company launches a new product without a blogger relations component. Companies host blogger conferences to tell their story. About 17% of small Japanese companies have blogs and “social networking services (SNS),” as they call it, are widely used by individuals and businesses. Mixi, the leading SNS, attracts more than ten million users. Like Germans and Canadians, the Japanese do not use social networks to meet new people, but to talk with existing friends. For many Japanese, speaking or writing in English remains. Japanese corporations are starting to use social networks internally to improve innovation through collaborative efforts. • Singapore is ahead of the remaining South Asian Countries in social media. The upper echelons of government use social media in their efforts to slowly, steadily open up and previously closed society. But government is not in control. Recent efforts to silence bloggers during a national election, completely failed. An instructor as a class of 40 college students recently asked how many ofhisstudents blogged. 39 hands went up. • About 4 million South Africans have Internet access, or less than 10% of the population. 25% of the users have broadband. Mobile is what matters in this country. Young people use MXIT , a mobile chat and text message service is exploding as is Facebook. • Senegal may have the highest percentage of Internet users in Africa. The country is highly stable with a good economy and education rate. During the years of South African boycotts, global enterprises set up headquarters there and a generation of knowledge workers as evolved, with a new level of awareness of access benefits.